May has been a busy month for Aspect Enterprise Solutions and our team of commodities trade and risk management professionals representing Aspect in cities across the globe, including Houston, Panama and Hong Kong. Aspect also stepped out with its ION colleagues in Houston joining fellow brands Openlink and Triple Point at Energy Risk USA. Through recent acquisitions ION is transforming the space, and now has the leading portfolio of energy and commodities trade and risk management software. 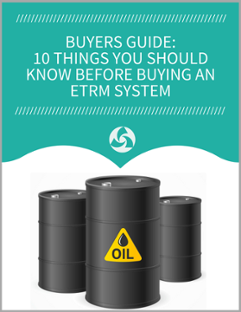 Trading companies have choices that best fit their business goals, and through this portfolio of functionally rich, high-performance ETRM and CTRM products — can evolve, collaborate, innovate and grow with the brightest specialists and most powerful software tools in the world. In a show of industry leadership, the ION commodities software portfolio brought home multiple awards. Many thanks go out to our clients who trust our software to empower trading teams in more than 90 countries. During a gala dinner in Houston, Energy Risk presented Aspect with top honors for “Best Cloud CTRM Software” for the second year in a row, and Openlink brought home the coveted “Energy Risk 2018 E/CTRM Software House of the Year,” award among many other top recognitions. Maritime Week Americas is a popular week-long series of events that brings together bunker suppliers, traders and buyers from North, South and Central America. Aspect was a proud sponsor of the Bunker Price Risk Management Seminar. The AspectCTRM cloud software suite features benchmark market prices for 350 major ports across the globe, as well as specially developed bunker trade and risk management tools for our bunker fuel trading clients, like Aegean, Cockett Marine, Bomin, WFS and more. Patrick Hayes, AspectCTRM Americas Sales Director, led the “Hedging Risk with Options & Futures Trading” course for the second year in a row due to popular demand. The course covered the fundamentals of hedging using futures, options and swaps in the oil and marine fuels markets while managing both physical and financial risks. Aspect’s front, middle and back office metals tools were on display during LME Week Asia in Hong Kong. Aspect delivers real time and historical prices from the London Metal Exchange that are used globally to reference, hedge and settle contracts. 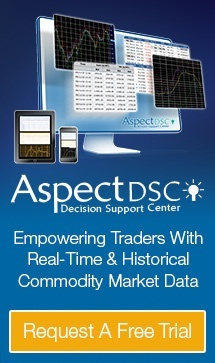 Aspect’s clients rely on LME’s benchmarks in AspectCTRM, and to manage trade portfolios from trade to settlement. Visit our ION booth at Energy Risk Europe in London next month and explore our events calendar to see where we’ll be next. To learn more about our solutions and for free trial information, visit www.aspectenterprise.com.